Is there a connection between the words sipuk סיפוק - "satisfaction" and safek ספק - "doubt"? They both appear to have the same root, but no obvious connection springs to mind. Let's take a closer look. If we look in the Tanach, we notice two things. 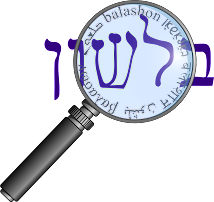 First of all, the root appears also with the letter sin - שפק. (By Rabbinic Hebrew, however, we only see it with a samech.) Secondly, there is a third meaning - "to strike" or "to clap (hands)". In fact, this meaning is the most common one found (even though it is almost never used in modern Hebrew). According to Even-Shoshan's concordance, it accounts for all seven times the root ספק appears in the Tanach. Even-Shoshan claims that the root שפק means "to satisfy" three times - twice as a verb (Melachim I 20:10, Yeshaya 2:6) and once as a noun (Iyov 20:22). In modern Hebrew we find many uses of ספק meaning "to be sufficient, to suffice". The piel form - sipek סיפק can mean both "to satisfy" and "to supply". The hifil form hispik הספיק can also mean "to supply", but also can mean "to be sufficient, adequate, enough" and " to enable, to succeed". So if I write הספקתי לכתוב hispakti l'khtov - that means "I succeeded in writing" (usually within a desired period of time). The hitpael form הסתפק histapek means "to be satisfied, content". And of course the exclamation מספיק maspik - means "enough!". "But beware of wrath, lest he take thee away with his clenched fist"
"Let anger at his affluence not mislead you"
A third possibility, that it means "doubt" is mentioned by a number of scholars - Even Shoshan in his concordance (although he does follow this up with a question mark), Klein in his dictionary (quoting "some scholars") and in the notes to Ben Yehuda's dictionary which mentions translators and commentators that explain the word as "doubt or hesitation". Aside from the Malbim (who I doubt they were referring to), I was unable to find which translations give this explanation for safek. I was surprised, however, to find that Even-Shoshan in his dictionary did make a connection. Regarding safek meaning "doubt", he says that perhaps it comes from an earlier sense meaning "bound" - in other words, a thing in doubt is "bound up" until it is solved. This sense of "bound" is found in Talmudic Hebrew, for example in the Mishna (Para 12:1 - although Kehati there says the word has the sense of "adequate"). Even-Shoshan then writes the meaning "to join, attach" is related to the meaning "to suffice" (as does Klein). They don't explain why - but perhaps when you supply something to a person, or they have a sufficient amount, it is as if that thing is attached to them.